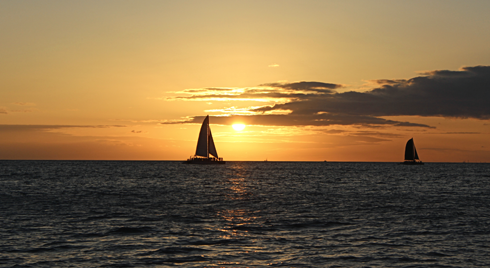 A beautiful sunset over Waikiki Beach is that stereotypical scene that everyone pictures when they think of Hawaii. 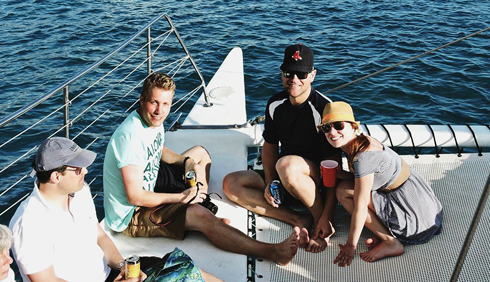 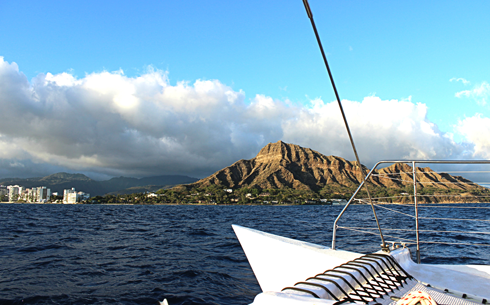 Wanting to soak up that experience, on our last night in Honolulu our family enjoyed a sunset sail on a catamaran. 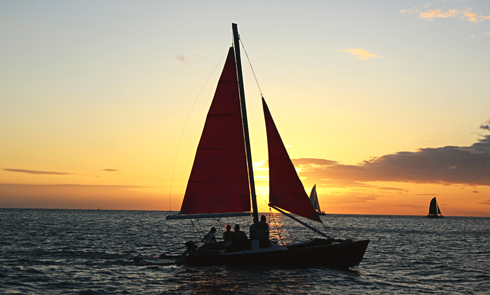 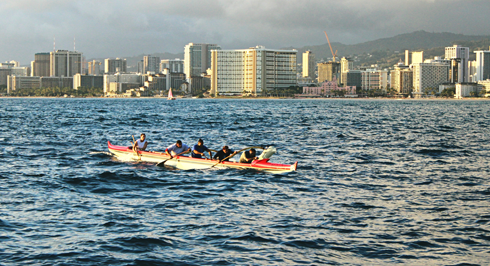 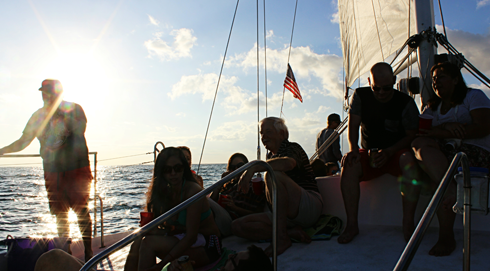 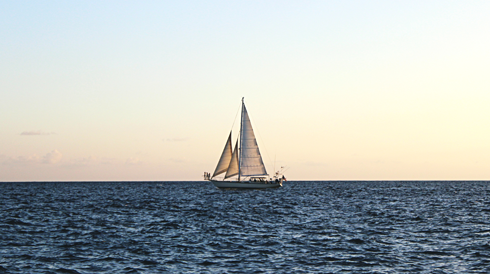 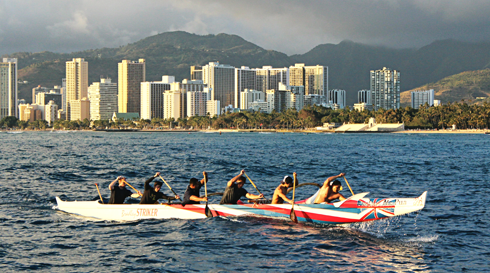 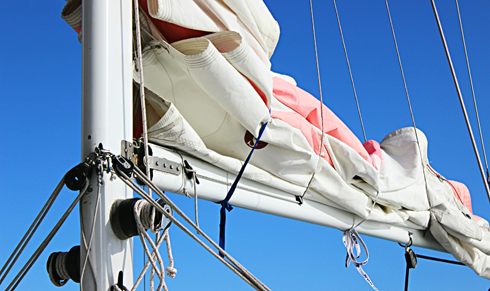 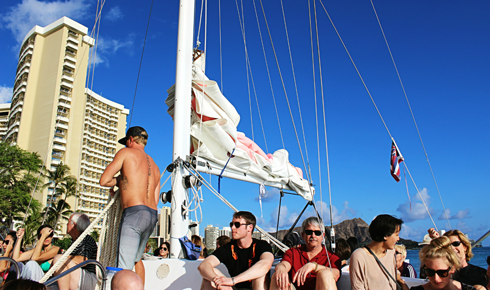 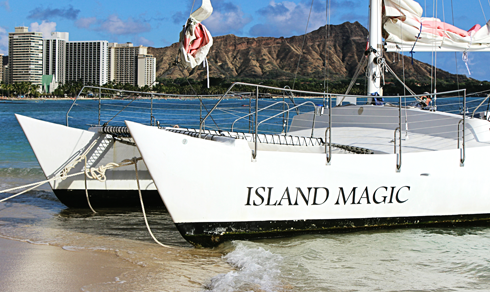 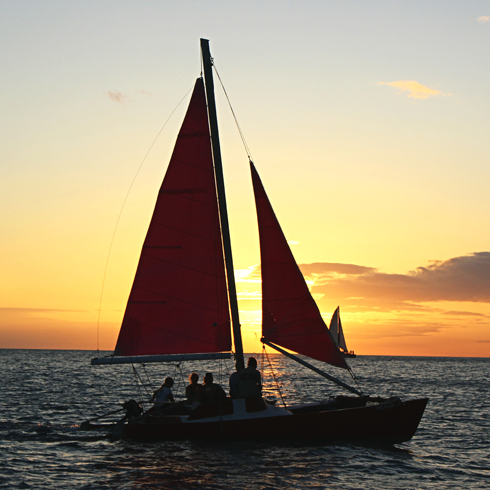 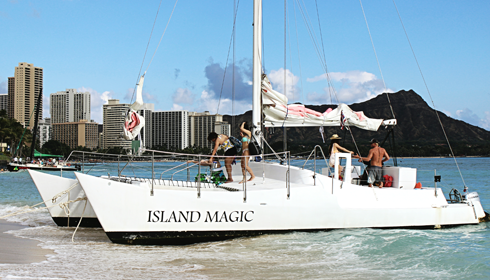 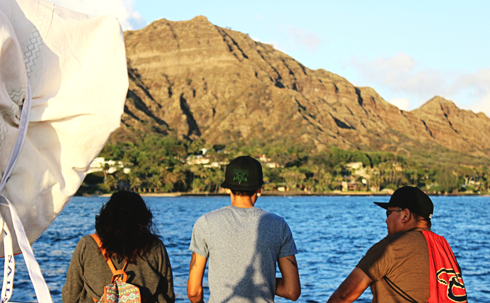 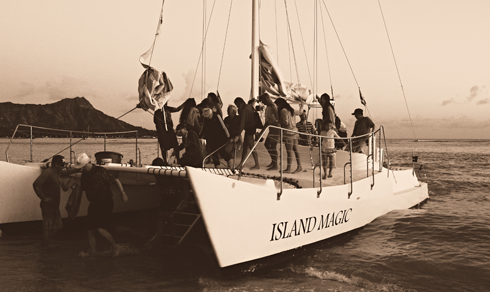 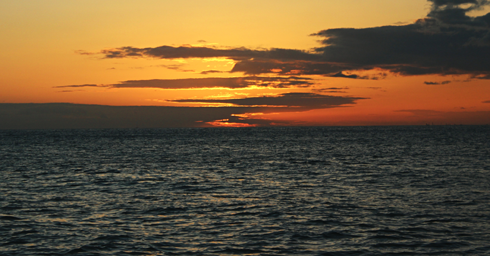 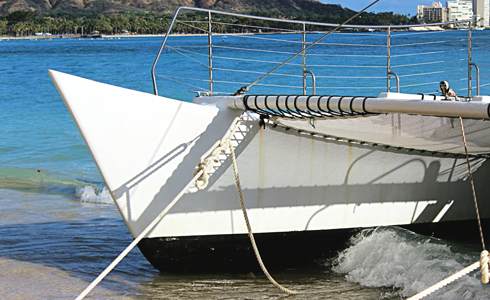 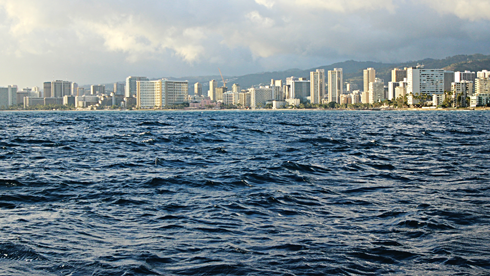 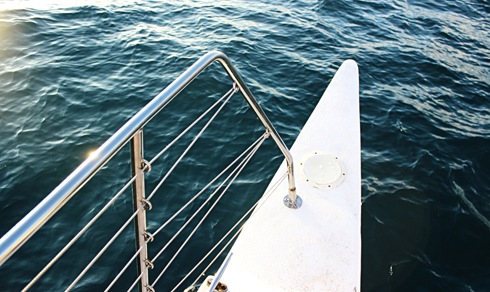 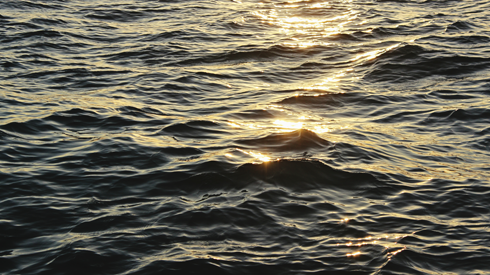 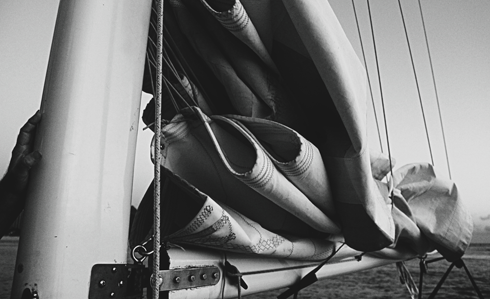 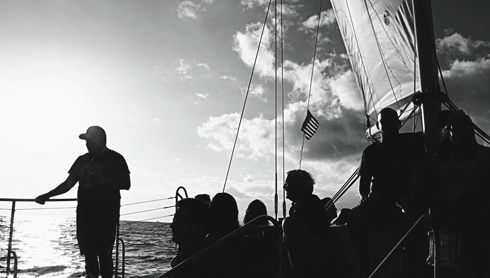 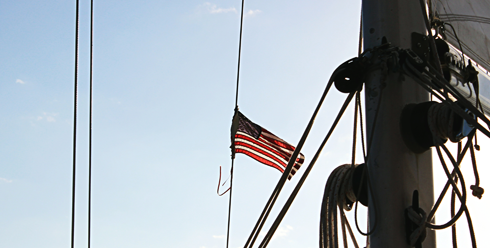 Leaving directly from Waikiki Beach we sailed out to enjoy the epic sunset, ocean views, and panorama of Oahu. 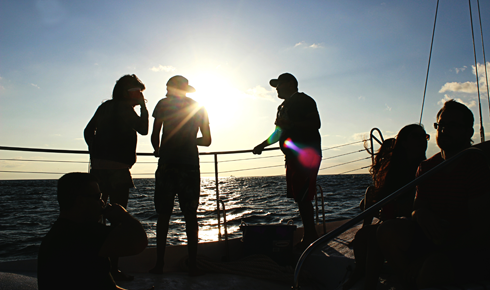 It was as incredible as we'd imagined it. 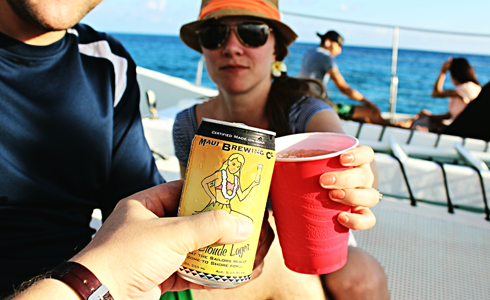 It was a great excuse to continue sampling Hawaiian beers. 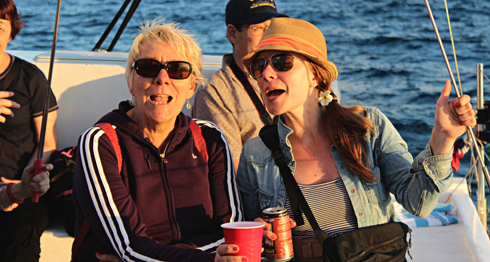 My mom and sister singing some jaunty sea tunes. 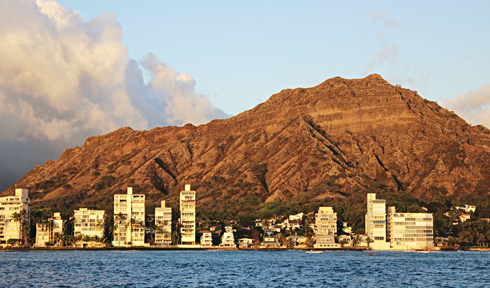 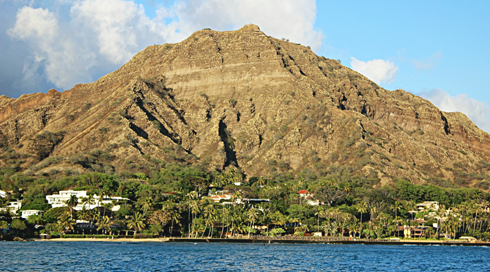 A great view of Diamond Head. 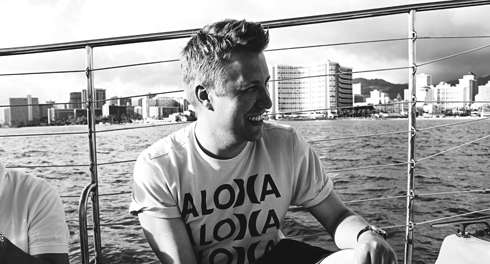 A rare candid of me without a camera in my face.